Blythe Sol has a New Year's Resolution, but it's not your typical self-improvement plan.She wants to end the conflict between the government and the Resistance once and for all--by sneaking into Washington D.C. and putting a bullet in President Drummond's skull. If she can cut the head off the snake, the genocide of the Bionics might finally end. But if she fails, she will surely bring retaliation crushing down upon the entire Resistance. Blythe and fellow soldier Dax Janner are already coping with the loss of people they loved. When their dormant feelings for each other begin to rekindle, they struggle with feeling anything positive after so much suffering. The return of Gage will only confuse matters more. 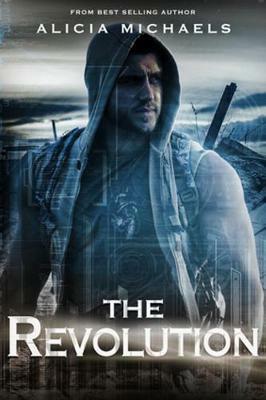 As the terrorist sect known as The Rejects begins to work hand in hand with the government to push the Resistance toward all-out war, the battle will be brought to their doorstep.Will the movement stand tall and conquer--or collapse under the strain and be destroyed for good?